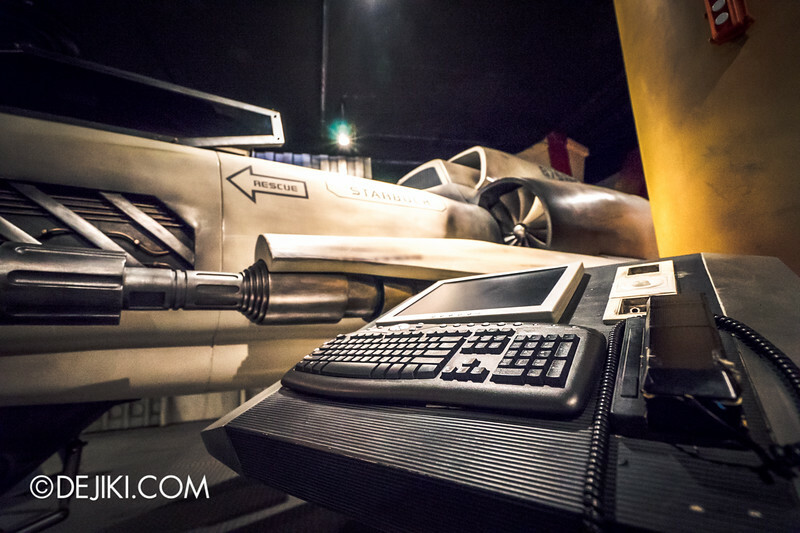 Welcome onboard the Battlestar Galactica! 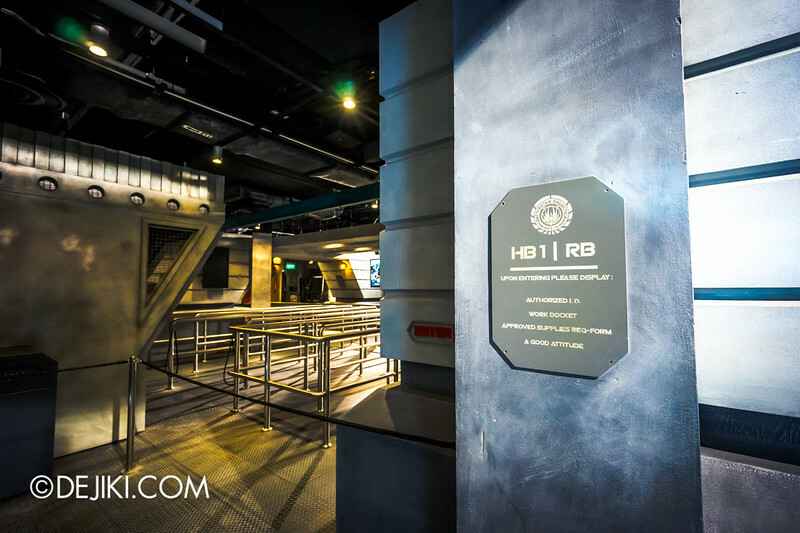 Visit this historic battlestar’s hangar bay at the Battlestar Galactica: HUMAN vs CYLON ride in Universal Studios Singapore. 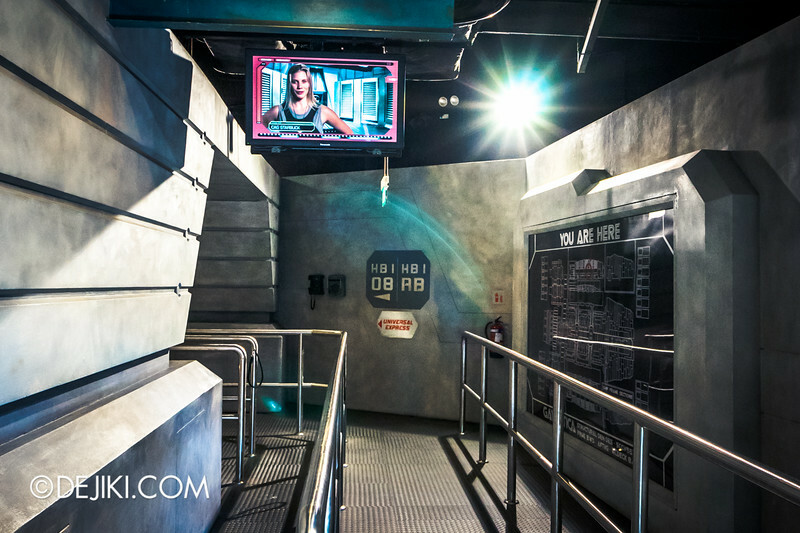 Battlestar Galactica: HUMAN vs CYLON is Universal Studio Singapore’s flagship attraction. As the world’s tallest dueling roller coasters, it features two trains that run in sync through two tracks – red and blue. Either side of the pair provides a thrilling ride experience filled with near-miss collisions and unique ‘chase’ moments with its counterpart. 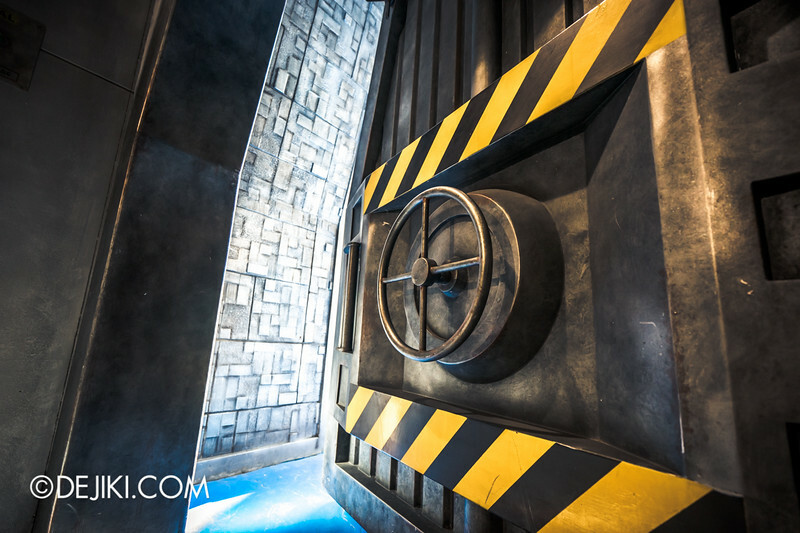 To celebrate the ride’s reopening, we have produced a Grand Photo Tour of the attraction. 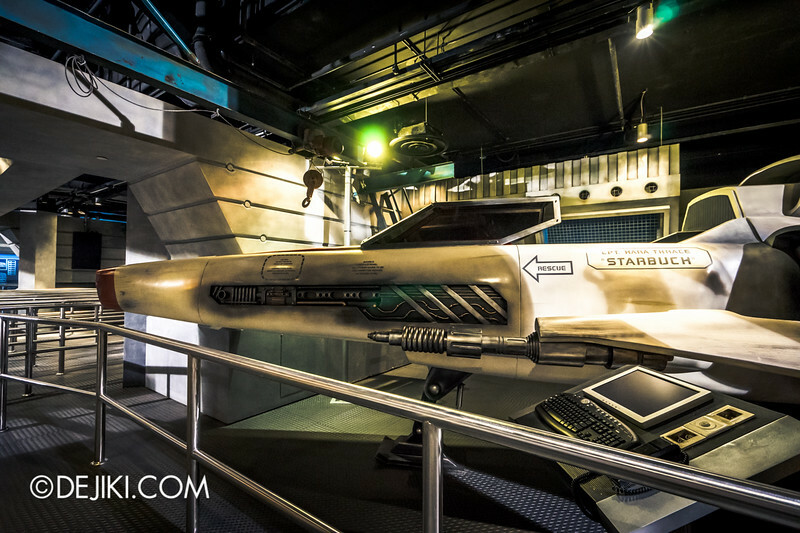 Special thanks to Universal Studios Singapore for allowing us to peek into Battlestar Galactica before it reopens! 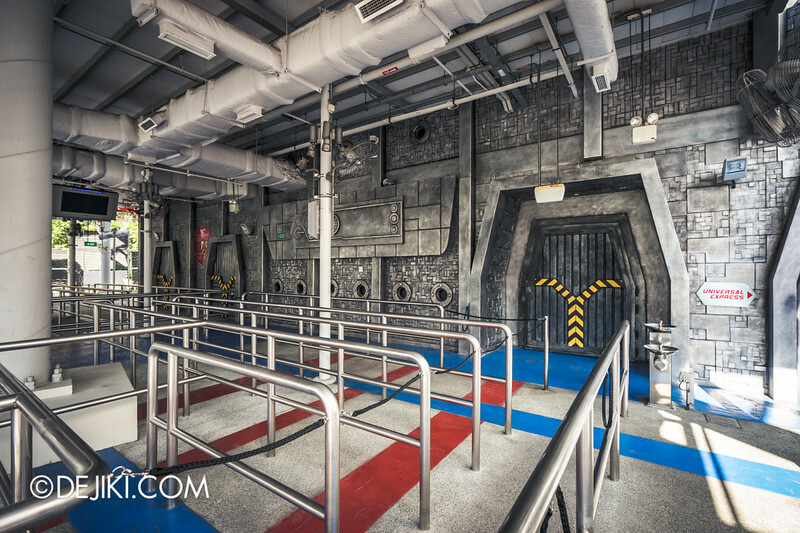 BREAKING: Battlestar Galactica will reopen on 27 May 2015. 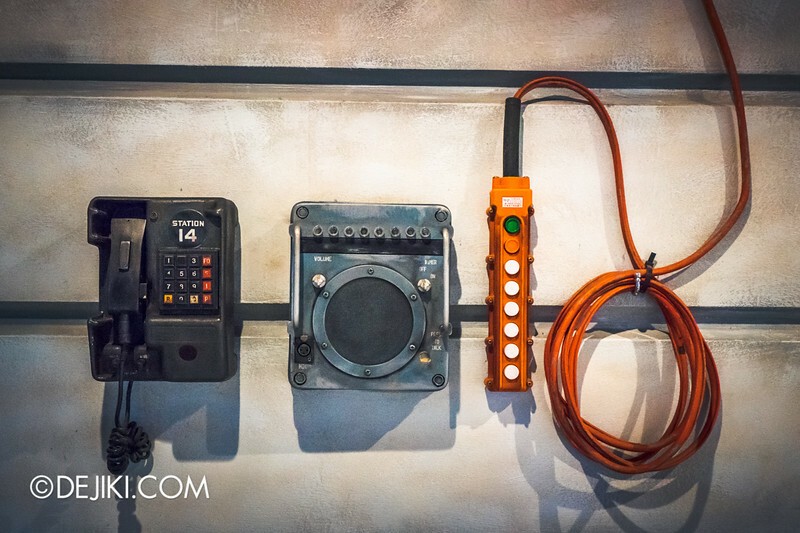 This photo tour documents the pre-show experience for both sides. 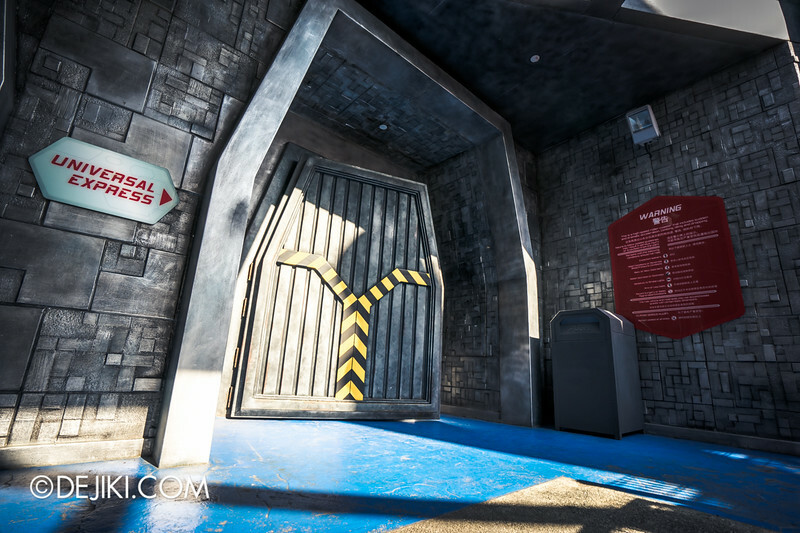 Whether you choose to be with Colonial forces (HUMAN) or side with the CYLONs, the queues are uniquely themed spaces filled with rich detail. 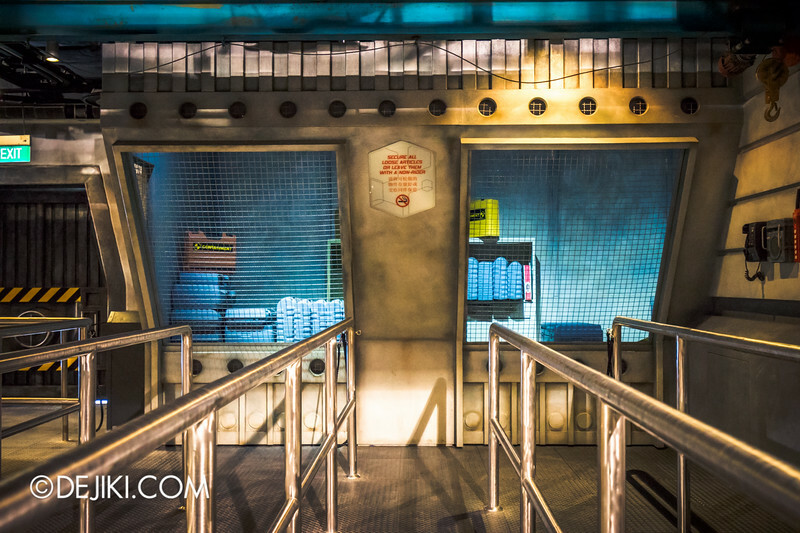 Heavy doors at the side of the Battlestar Galactica lead into the hangar bay. While it’s a cool respite from the harsh outdoors, this is not a place to sit back and relax. Commander, Air Group (CAG) Kara Thrace – more famously known by her callsign ‘Starbuck‘ – addresses all Viper pilot hopefuls. Listen to the CAG, nuggets! The star of the hangar bay is of course, the Viper. 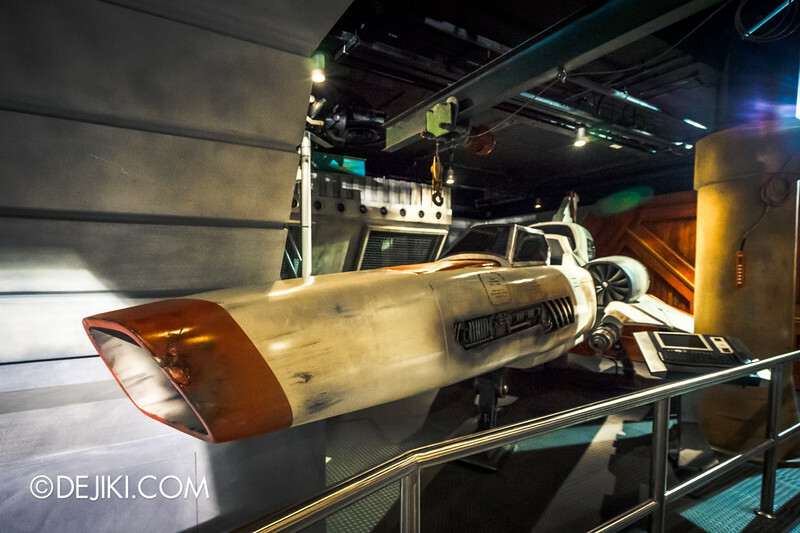 It’s a staple model of fighter jets used by Colonial forces since the first Cylon war. Throughout the events of the modern ‘Battlestar Galactica’ TV series, these Mark II Vipers were critical to the colony’s survival as they escape from the Cylon attack on the colonies. This particular one is piloted by Starbuck. And it’s heavily blemished from all her battles with the Cylon raiders. 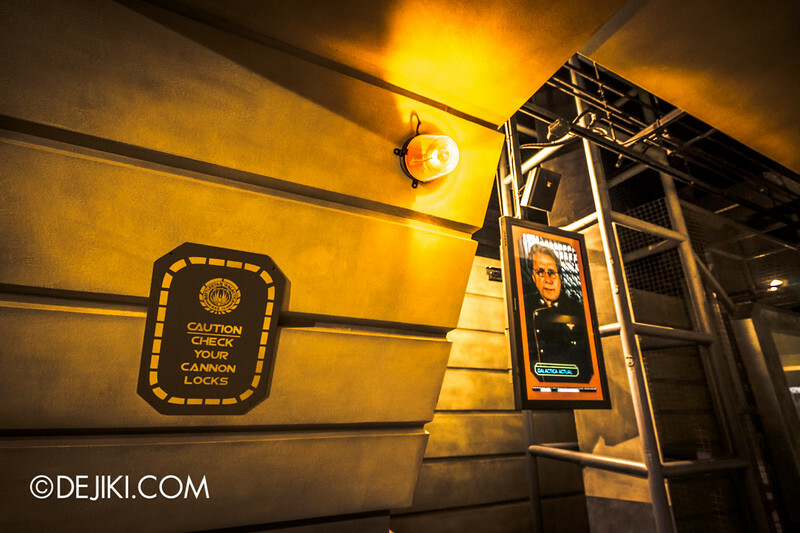 But before you can continue wandering around, Galactica Actual (Galactica’s commander) Admiral William Adama appears on the video displays. Set Condition One throughout the Ship! Stay tuned for new updates to this series! WOW! Thanks for sharing these! 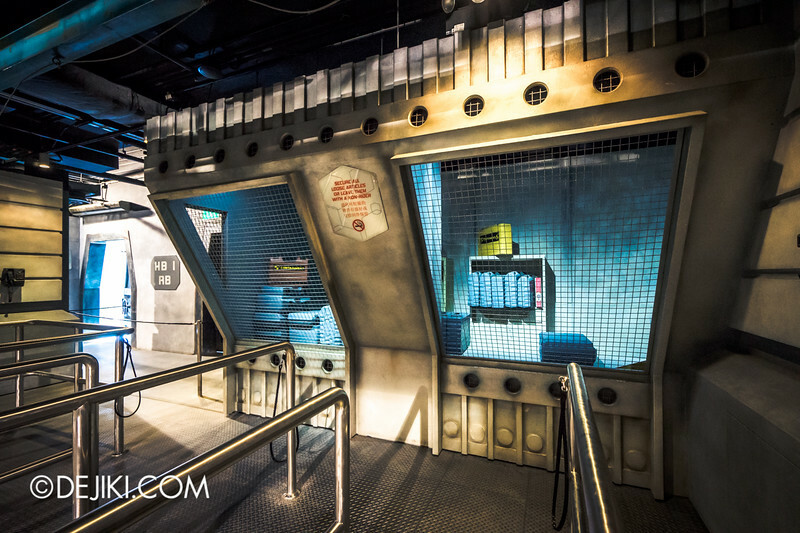 Galactica fans are gonna flip! So shocked that there aren’t any pictures of these any where else on the planet. Any chance we can get some footage of what the videos play? I’m still blown away that this even exists! Sadly they don’t have this in the States! Was wondering, do they have any walk around characters from BSG? Like cylons or something like the Disney has with Star Wars?